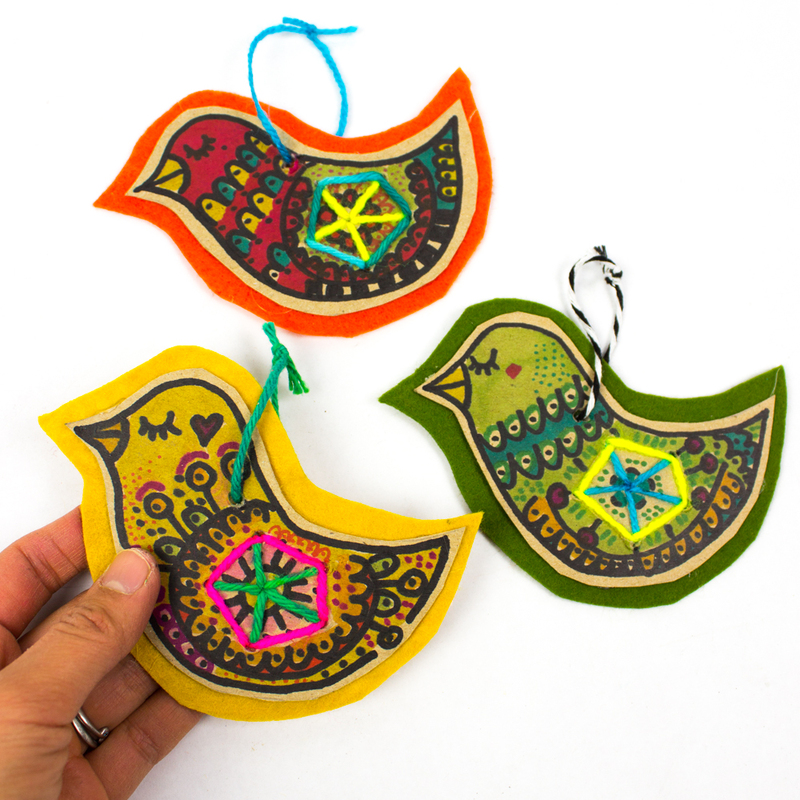 You can make the birds any size you want. 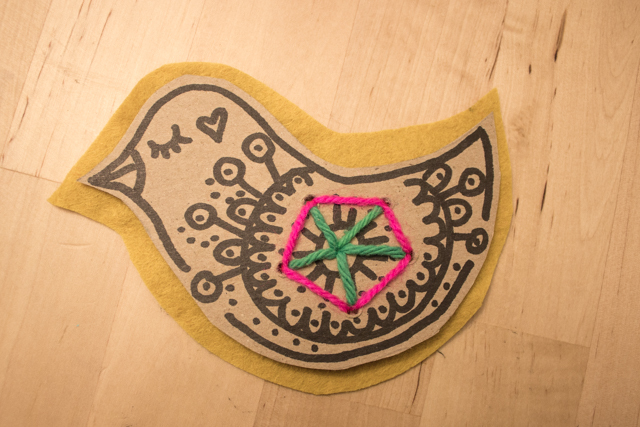 I've uploaded a copy of my felt and cardboard bird ornaments here. So you can use that if you want. 2. 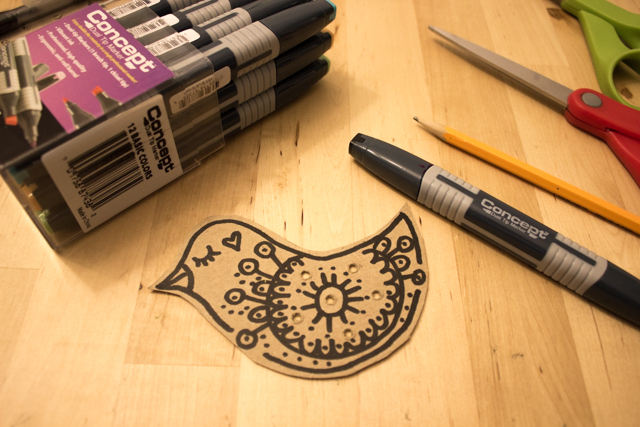 Grab your markers and draw a design! Keep in mind where your holes are as you draw. That's where your yarn design will lie. 3. 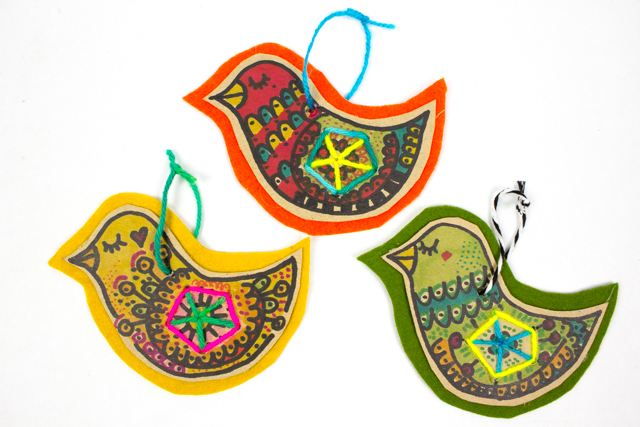 Cut out strands of colorful yarn and start creating your sewn designs. 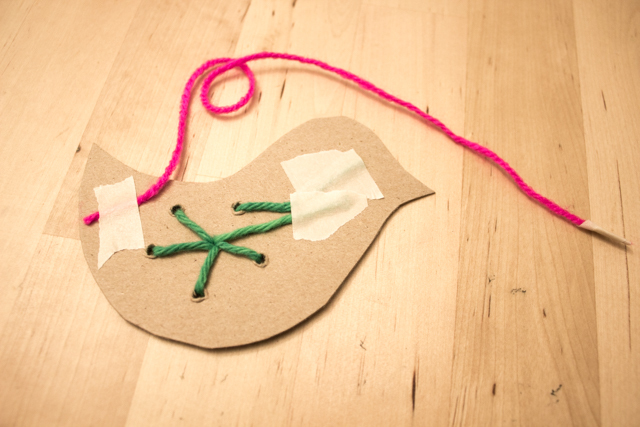 Use masking tape to attach the yarn to your bird. Wrap the yarn end with masking tape to help it easily slide through the holes. This creates a "needle" of sorts. 5. 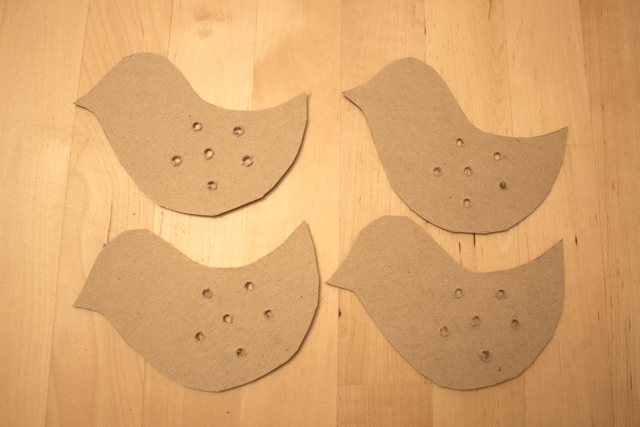 Then, grab your drill and drill a hole through the bird's neck (through both the cardboard and felt bits). Finally, tie on a piece of yarn through the hole and you're all set! 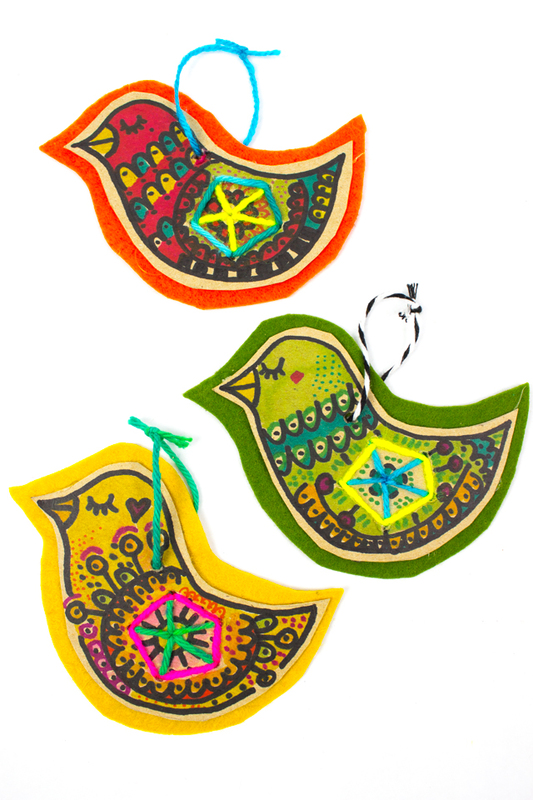 And if you're looking for more colorful, easy, and affordable Christmas ornaments, check out the links below!